. :: May the Force be with YOU ::. With horses like Storm Troupour and Force of Destiny under our care , Saint Wendred's is sporting a Star Wars theme these days. In weather like todays, you definitely need grit , determination and some "Force" on your side. This weekend we spent a lot of time at Chelmsford racecourse ticking all the boxes, a very important exercise for our upcoming debutantes. Yesterday, Shirocco Cloud worked form the gate. 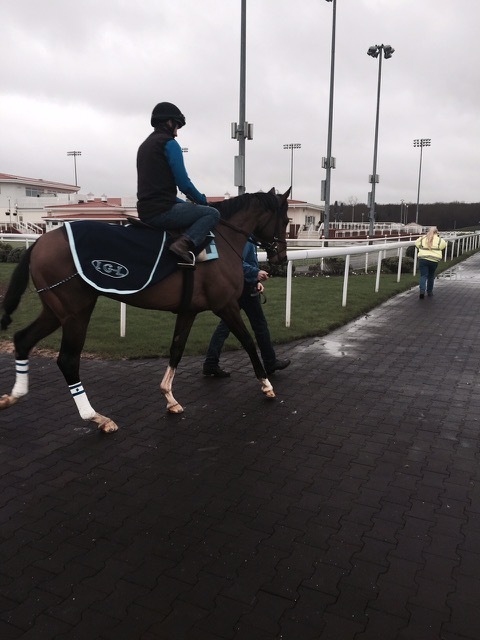 Today, Force of Destiny, in the pictures, came for a day out and a racecourse gallop. It was a big learning curve and this dress rehearsal helped our protégées to mature. Now, let's see how they come out of their works and before you know it will be time to make the first entries for 2016!